VW POLO GTI MARK 5 1/24. 1/24" scale of course. was Gonio release number 1009 - Tropic - desert sand. nice item. Model was known as the VW82 Kubelwagen Camouflage as used in North Africa. This is a Silver Boxed Limited edition model (mint model under factory shrink wrap) Rubber tyres are all good with no sign of age or softness. A lovely detailed model. This item would make an excellent addition to your collection and a fantastic display piece. This is a specialist collectors model suitable for ages 14 years . RALLY CARS. Captain Scarlet. The Beatles (Music Band). 1/43rd Scale. 1/24th Scale. 1/18th Scale. 1/32nd Scale. 1/76 'OO' Scale. 1/64th Scale. This item would make an excellent addition to your collection and a fantastic display piece. Captain Scarlet. POLICE VEHICLES. 1/43rd Scale. 1/24th Scale. 1/18th Scale. 1/32nd Scale. 1/76 'OO' Scale. Collectors item which has pullback action and opening doors. Surf's up with this fantastic hippy style VW campervan from 1962 complete with surfboard on the roof. Pull it back and watch it zoom across the floor. Pull back and watch this hippy campervan zoom across the floor! New VW Touareg 4X4 in Siver with Black interior. Ten spoke Alloys plus Panoramic Glass sunroof, with well reproduced interior. This magnificent and beautifully detailed model made by Minichamp for VW is at a competitive price. Fabricant Ixo. Matière zamac et plastique. Couleur Multicolore. Wiking micro ho 1/87 con scatola! Fabricant WIKING. Matière Plastique. Couleur Multicolore. EAN Non applicable. Echelle 1/87. VW T1 Box "DBP". Edizione limitata 500 - SCHUCO Piccolo. Marke Schuco. Model VW T1 Kasten. Besonderheit Limitierte Auflage. Maßstab 1:87. Material Kunststoff. Farbe Gelb. Micro Wiking, plastica scala 1/87, in una scatola! Fabricant WIKING. Matière Plastique. Couleur Multicolore. EAN Non applicable. 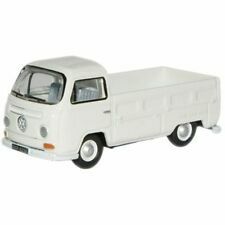 Modell VW T1. Nuovo da cuscinetti ad alta risoluzione. Fahrzeugmarke VW. Fahrzeugtyp Pkw. Besonderheiten Konvolut. Maßstab 1:120. Material Kunststoff. EAN Nicht zutreffend. Fabricant BREKINA. Matière Plastique. Couleur Multicolore. EAN Non applicable. Echelle 1/87. Superbe VW Volkswagen Polo R WRC 2015 Mikkelsen #9 / Floene 1/43 alle Spark. Fabricant spark. RALLY OTTENERE CARLO 2015. Nuovo nella sua scatola originale VW. Nuevo con caja. EAN 4039378720728. Fabricant BREKINA. consentono la porta a un costo aggiuntivo. Matière Plastique. Couleur Multicolore. RIETZE micro 1/87 no al piombo, senza scatola! Fabricant RIETZE. Matière Plastique. Couleur Multicolore. Echelle 1/87. Micro scala WIKING ho 1/87 senza scatola! Fabricant WIKING. Matière Plastique. Couleur Multicolore. Micro scala Wiking ho 1/87 con scatola! Fabricant WIKING. Matière Plastique. Couleur Multicolore. EAN 4006190071017. Echelle 1/87. Driver di vincitore Rally Svezia 2014 Volkswagen VW Polo R WRC / driver Latvala - Antilla. Marke Whitebox. VW Polo R WRC rally vincitore Swden 2014. Model Polo. Modelljahr 2014. Fahrzeugmarke Volkswagen. Costruito nel 1970. VW VOLKSWAGEN. Fahrzeugmarke Volkswagen. Material Druckguss. Material Kunststoff. Material Diecast. EAN 812982020859. Marke Greenlight. Veicoli Welly. - Produttore Welly. Marke Welly. ' 62 bus di Volkswagen classica. Marke Wiking. Sicurezza a Volkswagen. Fahrzeugmarke Volkswagen. Non adatto a bambini sotto i 18 anni. Lun - Ven 10.00 - 18.30, sabato 10.00 - 15.00. Jaguar XKE Coupé, Art.-Nr. Baugröße (Spurweite) Spur H0 (16,5 mm). Baugr\u00F6\u00DFe (Spurweite) Spur H0 (16,5 mm). Fahrzeugmarke VW. Piattaforma di FK 1000 con NSU Max "NSU servizio" Art.-Nr. sono disponibili (in magazzino). 10 articoli Beetle Cabriolet. Fahrzeugart Cabriolet. Fahrzeugmarke VW. Modell Käfer. Maßstab 1:160. Material Kunststoff. EAN Nicht zutreffend. I colori possono differire da quelli nella foto. HAPAG LLOYD FLUG. Marke Wiking. Model Volkswagen Golf. Fahrzeugmarke VW. EAN Nicht zutreffend. Fahrzeugart PKW. 030-313 51 59. Sab 10:00-15:00. Produttore - Manufacturer: VITESSE. 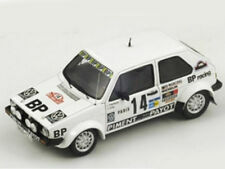 Categoria - Category: VITESSE Fiat 1/43. La vendita è assistita dalle garanzie per vizi e difetti previsti dalla legge. Per conferma scritta di tutte le condizioni contrattuali nonchè delle ulteriori informazioni di cui all'art. 53 D. Lgs 206/2005. Marke WIKING. VW Transporter Caravelle. Fahrzeugmarke VW. EAN Nicht zutreffend. Non adatto a bambini sotto i 18 anni. 030 / 218 66 11. HAPAG LLOYD FLUG. Marke Wiking. EAN Nicht zutreffend.